Fighting allergies can feel like a war on pollen (and kittens), yet the real enemy lies within. For those of us with allergies, our immune systems overreact to pollen, animal dander, mold, and dust. It flags these as invaders and goes on the attack, releasing histamine, which in turn triggers the itchy eyes, runny nose, and congestion we all associate with the start of spring. We talked to a trio of allergists and they all agreed: a spritz of corticosteroid up the nose is the best way to beat seasonal allergies — but oral antihistamines and, in the short term, eye drops make great backups. We scoured the research and analyzed the 37 most available pills, sprays, liquids, and drops at mainstream pharmacies to find the best symptom-relieving (and least zombifying) defense during allergy season. Our top pick is a nasal spray because they’re simply more effective as a standalone defense. Nasacort Allergy 24 Hour’s active ingredient, triamcinolone, treats inflammation locally instead of disrupting your entire adrenal system, like some competitors. Its 24-hour formula is alcohol- and scent-free, non-drowsying, and only requires once-daily application (when needed) at $0.10 per dose. 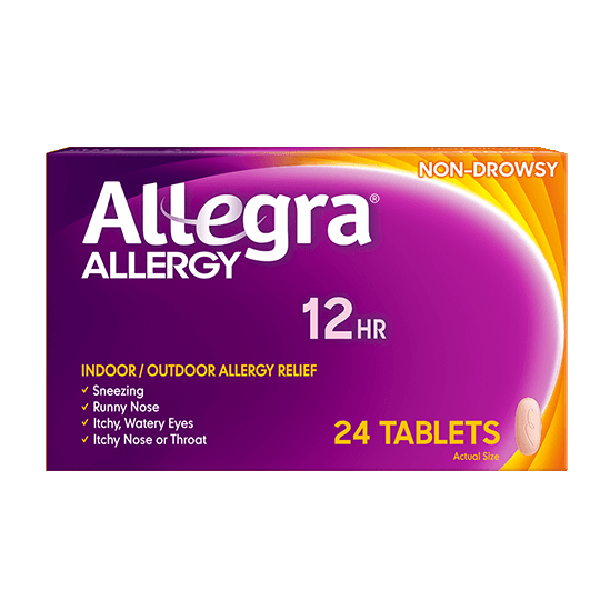 If your poor embattled nose just can’t handle a spray, Allegra Allergy 24 Hourpills work well, too. The active ingredient, fexofenadine, is known for being non-sedating, so there’s no concern about drowsiness here. It’s also a 24-hour, one-dose-a-day option and conveniently comes in both tablet and gel cap forms. It’s more than three times the cost of Nasacort, at $0.35 per dose, but it’s ideal for a sensitive nose. 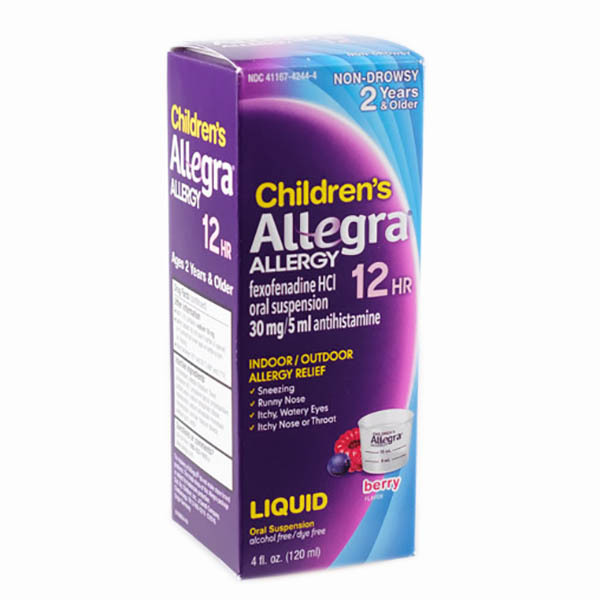 The adult doses of active ingredients are not recommended for children under 12, so Children’s Allegra Allergy 12 Hour liquid is our top pick for kids with allergy symptoms. It has the same active ingredient as our Allegra Allergy 24 Hour, simply in a smaller amount (30 mg vs. 180 mg). Its 12-hour liquid formula works out at $0.45 per dose, and comes in Berry and Orange Cream flavors. First, we cut any “first generation” antihistamines. The earlier the medication was developed, the more side effects, such as sedation, memory impairment, and dry mouth. Dr. Frank LichtenbergerAllergist-Immunologist at Allergy Partners P.A. First-generation antihistamines started coming out in the 1940s before clinical studies of new medications became standard. These drugs affect histamine receptors in the brain, not just the body, meaning significant drowsiness and other negative side effects. (You may recall the zombifying aftermath of Benadryl.) By comparison, second- and third-generation antihistamines, like the active ingredients in Allegra and Claritin, which started hitting the market in the ‘80s, target the effects of histamine solely in the body, so you don’t get such a groggy feeling. 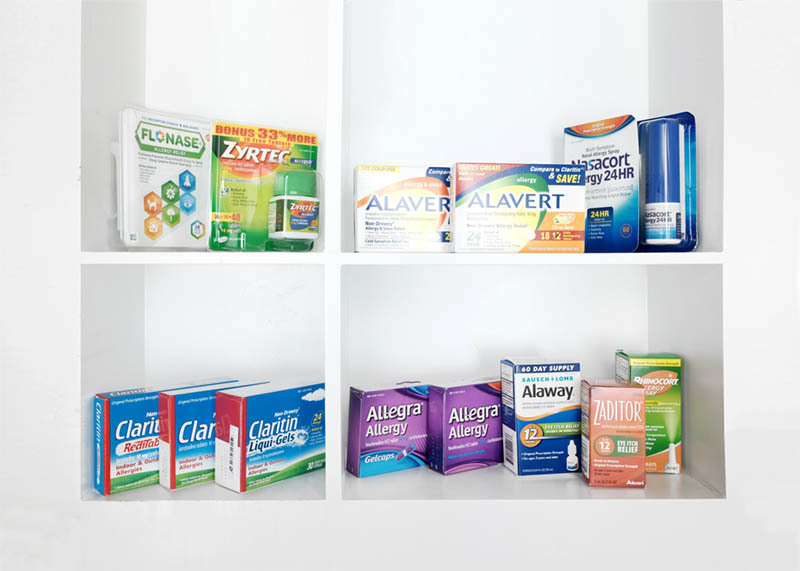 Pharmaceutical companies market decongestants as good for your allergy-related stuffy nose, but Dr. Marie Cavuoto Petrizzo, pediatric allergist-immunologist, says allergists rarely recommend them. [Decongestants] are not treating the allergy, but masking the symptoms and they can cause side effects. Decongestants act as a vasoconstrictor, shrinking blood vessels to relieve pressure in the nose and enable the passage of air. However, warns Dr. Cavuoto Petrizzo, at the same time they can also increase blood pressure, which can be a problem as many patients don’t realize they already have high blood pressure. Oral decongestants may also not be safe for patients with glaucoma, heart conditions, diabetes, and thyroid disease. So adding a decongestant can be just plain dangerous. Talk to your doctor before using an allergy medicine if you have any of these conditions. Decongestants can also cause sleeplessness, and Dr. Rebecca Vanlandingham notes that nasal spray versions can trigger “rebound congestion” if used for more than a couple of days. And if you’ve ever suffered from seasonal allergies, you know you’re probably in it for the long haul. We also eliminated anything containing acetaminophen. Acetaminophen, the pain reliever found in Tylenol, is full of controversy: On one hand, the World Health Organization lists it as an essential medicine, meaning it satisfies priority health care needs without compromising safety. On the other, studies link long-term, high-dose usage to liver failure, kidney disease, gastrointestinal bleeding, and more nasty stuff. According to Dr. Cavuoto Petrizzo, it’s added to some allergy medicines to help alleviate headaches and sinus pain that may accompany allergic congestion. But some of the allergy meds we looked at contained 650 mg of acetaminophen per dose (the same as two Tylenol) and a dosage frequency of every four hours, meaning a total of up to 3,900 mg per day. This gets you pretty close to the recommended maximum of 4,000 mg a day, which may be an excess of pain relief, especially if you’ve just got an itchy throat and don’t need it. If you find you need to take your allergy medicine all season, you may be putting yourself at unnecessary risk of serious health problems. So we cut all products that included acetaminophen, as you can always take it, or other more heavy-duty pain relief, separately as needed. This left us with 13 corticosteroid nasal sprays, antihistamine pills, and eye drops. If you’re pregnant, consult your doctor before taking allergy medicine.Studies have shown that some allergy medicine ingredients have been linked to an increased risk of birth defects. If you’re expecting, always talk with your doctor before starting any medication, including allergy treatments. While nasal corticosteroids are widely considered the best standalone defense against mild to severe allergies, it’s important to note that different medicines have been formulated to treat different symptoms, and you can combine medicines for the best results. Likewise, antihistamine pills and eye drops can work beautifully in concert. “On those days during the really high-pollen season in April and May, pollen can actually blow into your eyes and cause an allergic reaction there,” explains Dr. Cavuoto Petrizzo. “In these instances, eye drops are going to provide the most immediate relief for itchy eyes, while the oral antihistamine works in the background, blocking histamine throughout the body.” Thus, we looked for the best of each type. Nasacort impressed us with its ability to effectively tackle allergies while also being nice to your nose. 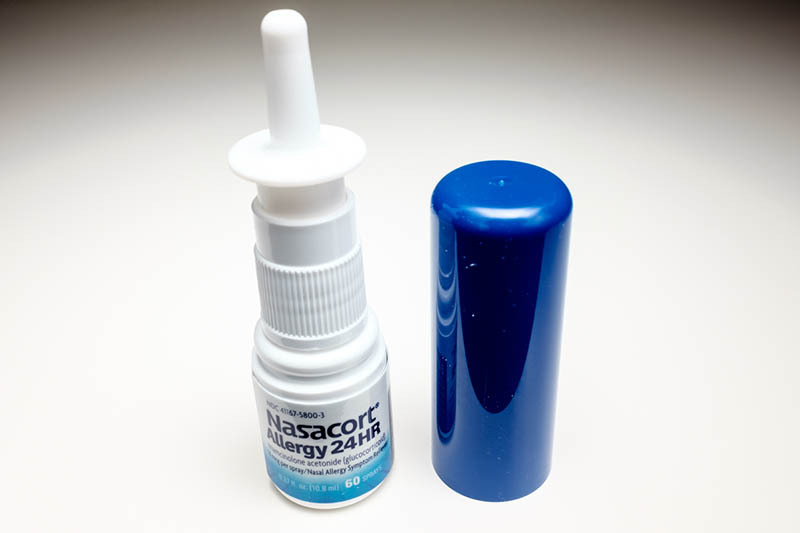 We crowned Nasacort king of the steroid sprays because its active ingredient, triamcinolone, effectively treats inflammation in the nose and, unlike competitors like Flonase, doesn’t affect your adrenal system and the release of hormones throughout your body. In addition, Nasacort uses a water-based formula, free of alcohol and scent; according to Dr. Cavuoto Petrizzo, this makes it less likely to cause irritation in sensitive noses. 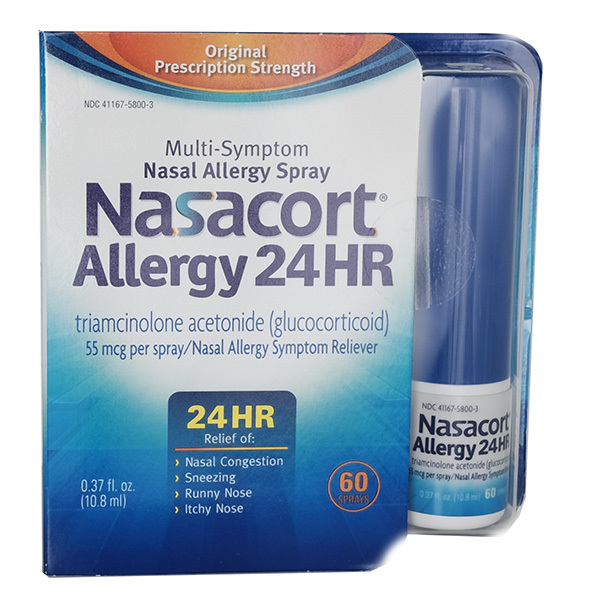 At $13 for 120 doses (one spray per day at $0.10/dose; one bottle should last you through allergy season) Nasacort is also the best value of the steroid sprays. Allegra balances strong results with few side effects. Allegra’s third-generation antihistamine, fexofenadine, is one of a class of medicines developed with the goal of improving clinical efficacy and minimizing side effects. Indeed, in a 2011 study published in the New England Journal of Medicine and the Journal of Allergy and Clinical Immunology, researchers note that fexofenadine is the most consistently nonsedating of the later antihistamines. 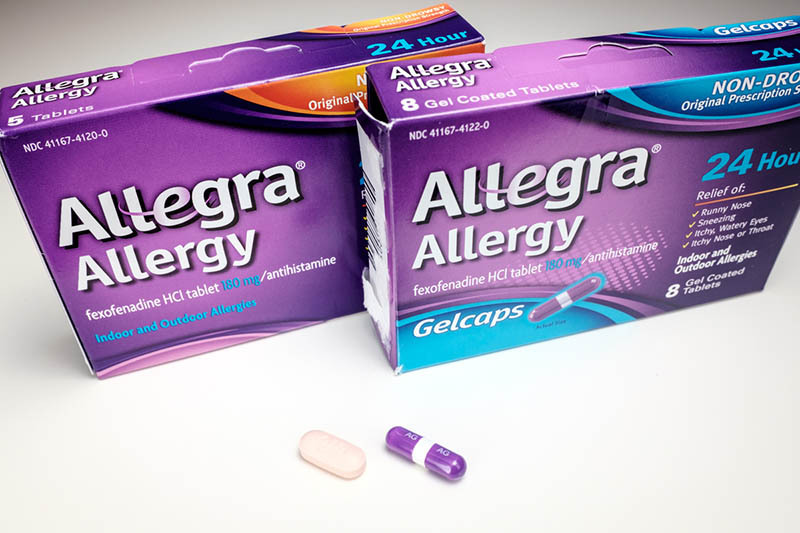 They’re so confident it won’t cause drowsiness that they specifically recommend it for “airline pilots and others in safety-critical occupations.” Allegra’s 24-hour formula is available in both a tablet and gel cap, making it a versatile option, too. At $25 for 70 doses (one tablet per day at $0.35/dose; one bottle should last just over two months), Allegra is more expensive than our top pick, but a good choice if your nose is too sensitive for a spray. The same active ingredient as adult Allegra, but in a child-friendly dose. Children’s Allegra contains fexofenadine, the same active ingredient found in adult Allegra. That means no risk of drowsiness. Plus there’s ample researchthat it’s effective against seasonal allergies and safe for kids. It can be given to children as young as two and comes in a liquid 12-hour dose. Adults can also take it, but it has less fexofenadine than you’d probably want: 30 mg compared to the 180 mg found in adult Allegra Allergy. 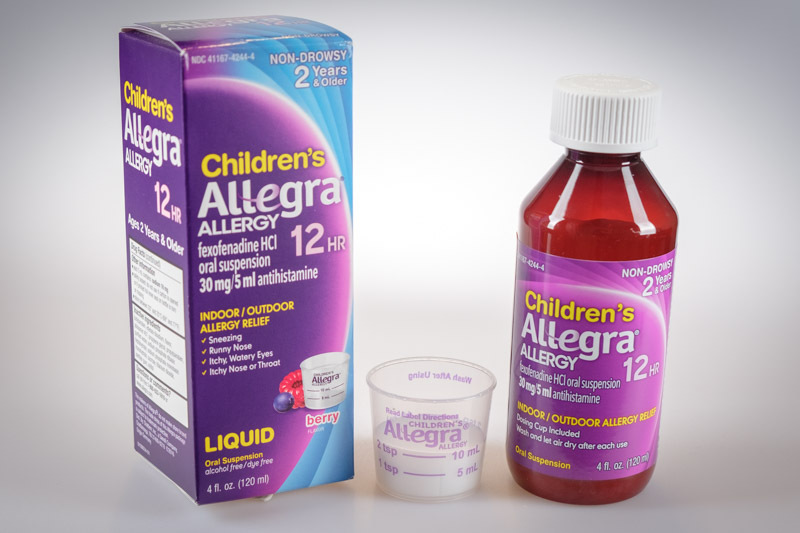 If your child balks at anything remotely resembling cough syrup, you can also try Allegra’s meltable tablets. These contain the same active ingredient and dosage, though they’re not recommended for children younger than six. 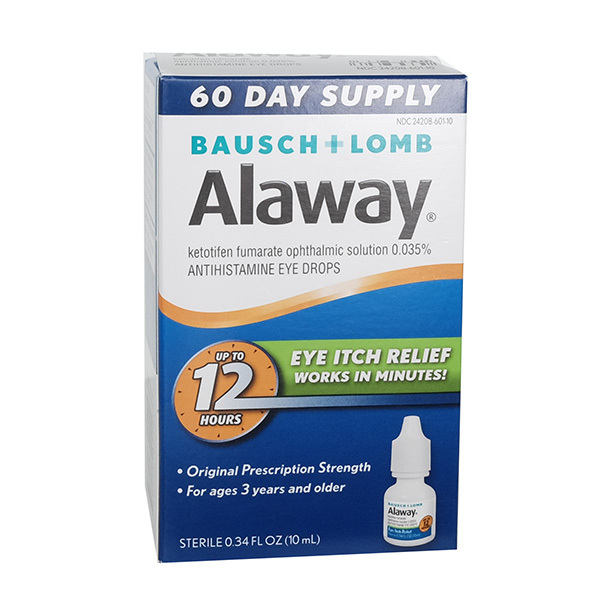 If your allergies give you itchy, watery eyes, you might be better off with an eye drop allergy medicine. If you need immediate relief from symptoms, Zyrtec is a great option. Studies show that cetirizine, the active drug in Zyrtec, may act faster than fexofenadine by anywhere from 20 minutes to two hours. 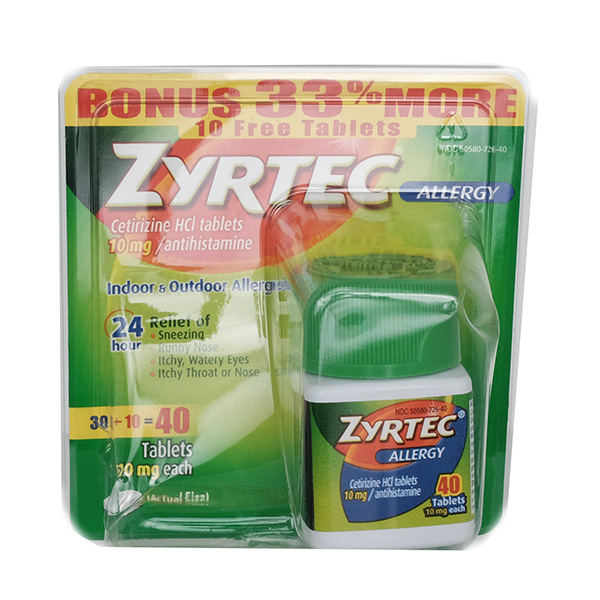 However, Zyrtec is also associated with a higher incidence of drowsiness. Dr. Vanlandingham noted that some allergy sufferers choose to take 24-hour Zyrtec at night when drowsiness won’t impact them. If you do go for Zyrtec, you can choose between regular tablets, liquid gels, and quick-dissolve tabs. Allergy meds all work differently — and often better together. Most experts tout corticosteroid nasal sprays, which work by reducing inflammation in the nose, as the best first-line defense for seasonal allergies. But depending on your allergy symptoms, a combination of treatments may be more effective than just one. If, like most people, your allergies take the form of nasal congestion, inflamed skin, and itchy eyes, a strategized treatment of nasal sprays, antihistamines, and eye drops may help provide the fastest, most effective relief. In real life, many people take both nasal corticosteroids and antihistamines. It really depends on what symptoms are bothering you the most. “When compared ‘head to head’ with standard dosed antihistamines, [nasal steroids] show more benefit for people based on subjective reporting of symptoms,” says Dr. Lichtenberger, citing a 2001 study from the University of Chicago. For best results, start taking a nasal corticosteroid several weeks prior to the start of allergy season. “While their onset of action is 30 minutes, effectiveness may take several hours to days to occur. Their maximum effectiveness occurs after two to four weeks of use,” says Dr. Cavuoto Petrizzo. Antihistamine pills have one clear advantage over nasal steroids: more rapid relief. Have you ever walked into a house with cats and swelled right up? “Antihistamines take 30 to 60 minutes to take effect and thus can be used on an as-needed basis for quick relief,” says Dr. Cavuoto Petrizzo. That said, antihistamines don’t treat congestion like corticosteroid sprays do, so many doctors suggest combining them. Chances are that the combo of a nasal steroid spray and an oral antihistamine (or even just one of them) will alleviate dry, itchy eyes too. However, if you’re still suffering — perhaps due to an especially high pollen count — eye drops will give immediate relief while the other medicines work in the background. Generic drugs will save you money. Across the board, the doctors we consulted agree that generic allergy drugs work just as well as name brands — and cost much less. If you’re looking at a shelf full of generics and don’t know which to choose, start by comparing labels. Match the percentage of the active ingredient of the name brand, and then filter out anything with acetaminophen and decongestants. As a final check, make sure the box isn’t labelled with any scary-sounding warnings like “not safe for long-term use.” You can always flag a pharmacist for advice, too. There hasn’t been a lot of research into natural remedies. Natural remedies haven’t been extensively studied, meaning experts can’t be certain about their effectiveness. The lack of extensive research on natural remedies also means that there’s not a lot of conclusive knowledge about the long-term effects of natural remedies. Keep in mind that just because it’s natural doesn’t mean it’s safe: make sure you understand the effects and risks of main ingredients. For instance, while butterbur extract can help with nasal allergy symptoms, eating raw butterbur root is dangerous. Bitter orange (citrus aurantium), which is marketed as a decongestant, can increase the risk of heart issues, high blood pressure, and stroke. Many natural remedies contain ingredients related to ragweed — so if you suffer from ragweed allergies (and 10 to 20 percent of Americans do), be especially careful before starting any natural remedies. It’s a good idea to discuss ingredients and application methods with your doctor first, especially if you’re planning on using natural remedies long-term. Besides pharmaceuticals and natural remedies, there are other steps you can take to alleviate your seasonal suffering: Regularly cleaning your home, especially your carpet, can help rid your home of accumulated mold, pollen, and dander. Be sure to wear goggles and a mask while cleaning your home, indoors and outdoors. If your nasal symptoms are especially bad, you can try nasal irrigation to wash out the irritants that trigger your allergies. You don’t have to take allergy medicine for the rest of your life. If shooting a spray up your nose or popping a pill every day just isn’t your style, you may want to ask your doctor about immunotherapy, which actually treats your allergies rather than simply suppressing the symptoms. If you don’t already know what you’re allergic to, your doctor may begin by conducting a skin or blood test. From there, they’ll start you on a course of shots, injecting the substance you’re allergic to into your bloodstream, be it oak pollen or animal dander. Dr. Cavuoto Petrizzo says treatment is typically about 80 percent effective, and while it costs more up front than OTC meds, removing the need for allergy medication altogether will likely save you money in the long run. Plus, most PPO plans will cover between 60 and 100 percent of subcutaneous immunotherapy (SCIT). Air purifiers can help with indoor allergies. If you suffer from seasonal allergies, you’ve probably had days where it’s tempting not to leave the house. But research from the EPA suggests that air quality indoors is often worse than what’s outside: “Air within … buildings can be more seriously polluted than the outdoor air in even the largest and most industrialized cities.” An indoor air purifier can help manage your symptoms, but make sure to do your research before you buy. Some types of air purifiers can actually make your allergies worse — in particular, models that release ozone (a common allergen) or rely on negative ionic filters (which “clean” air by causing particulate matter to stick to furniture, walls, and every other exposed surface). Most experts instead recommend air purifiers that use HEPA filters, which are able to trap dander and pollen. For specific product suggestions, take a look at our review of Best Air Purifiers. A gentle steroid spray that treats inflammation without affecting your adrenal system. This water-based formula is free of scent and alcohol, making it a good choice for sensitive noses. Although not quite as effective as a nasal spray, this non-drowsy oral antihistamine targets allergies with minimal side effects. Its 24-hour formula is available as a tablet or gel-cap. A liquid formula with a lower dosage that’s safe for children under 12. Its non-drowsy 12-hour formula comes in two flavors: berry and orange cream.